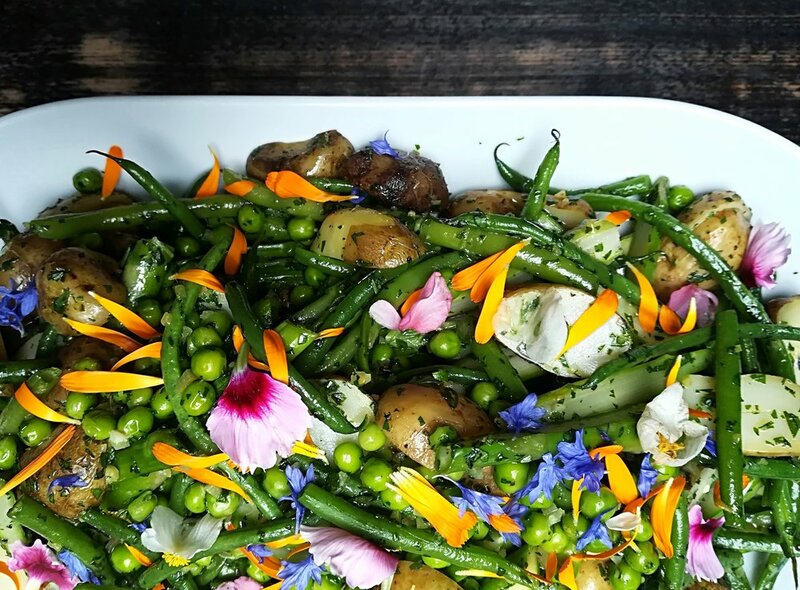 Make the most of sunny summer weather with outside entertaining - these are our suggestions for creating the ideal spread, whether for a picnic in the park or an evening in the garden. 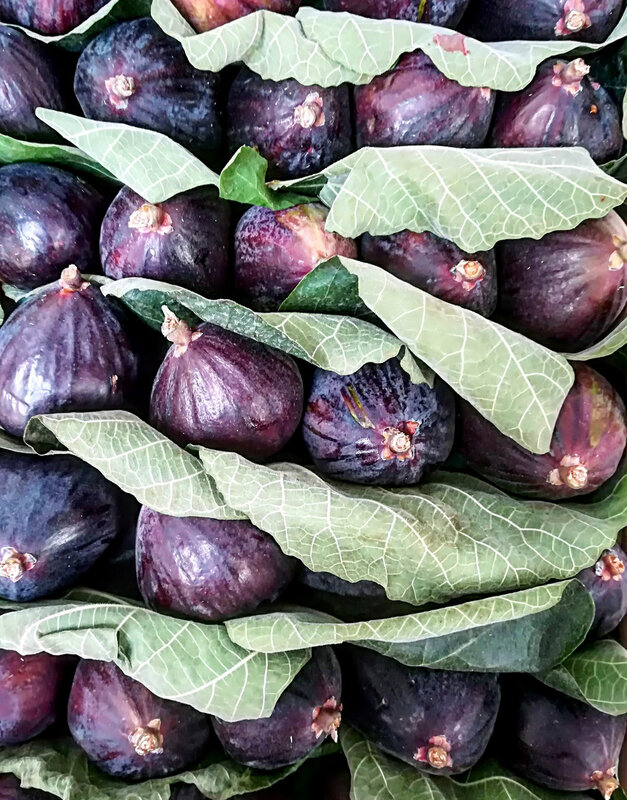 From Fioroni Figs to the huge variety of stone fruits from Italy, summer is a fantastic time for produce, especially for deliciously sweet fruit. Strawberries are a special seasonal treat and we source ours from the best farms in Europe and the UK, including Brogdale Farm, which is the home of the National Fruit Collection. Expect heritage varieties and new varieties such as Malling Centenary (a firm, sweet fruit voted 'Best New Variety' in 2016) and unusual fruits such as Snow White, a white fleshed berry with red pips and a hint of pineapple in the flavour. 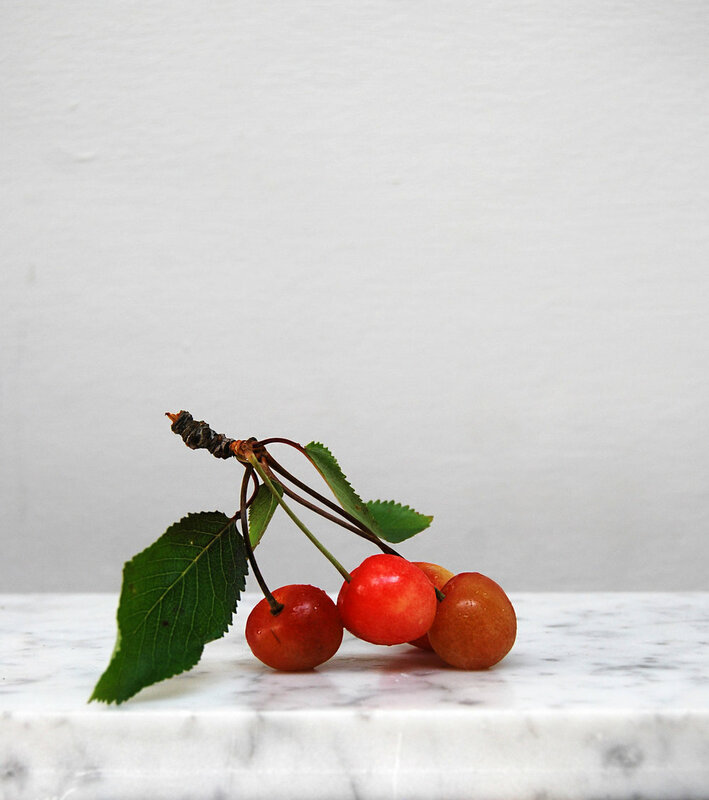 Cherry season has also just begun and our shops are stocking IGP cherries from Italy and, when available, a variety from Kent. As the weeks progress, the produce quickly changes, so it's well worth stopping in regularly to see what is new and especially delicious. The quintessential summer cheeseboard - selected by Patricia. A thick white disc covered in a protective sycamore or vine leaf. Farmhouse made since the 19th century, the rind is wrinkled with a slight bloom, due to the high humidity in which it is initially matured. The pate is creamy and rich with a light aromatic earthy perfume. Upon further maturation the rind becomes drier and dots with blue and white moulds, and the taste, once subtle and lemony, becomes complex and more emphatic. 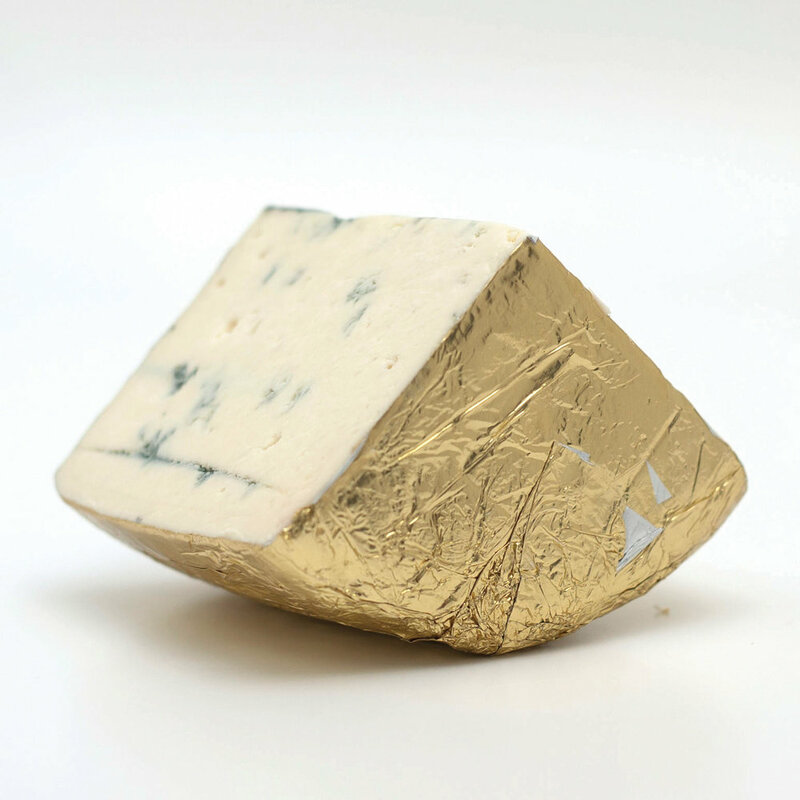 A soft, tender medallion-shaped cheese with a natural washed gold coat with patches of white and blue bloomy moulds after a little ripening. The inside pate is soft, golden, and lactic, with a fruity, almost blackcurrant acid edge. A lovely end of meal cheese. Drum-shaped with a depressed, crater-like top (due to not turning the cheese during early affinage) with a soft, luminous, pale orange rind. Washed in Marc du Champagne, the interior pate is rich, moist, and spicy, and should be almost melting below the rind with a flaky centre. Match with a dry Champagne or a velvety smooth Gigondas. Initially produced using two colanders as moulds, this cheese tastes fresh on first impact, becoming full and nutty as the flavour persists. With its natural washed and rubbed hard rind (dimpled from the basket moulds) this is very close – in age, taste, and aroma – to a French Pyrénées brebis. Young cheeses possess a sweet creaminess, but after five or so months maturing the cheeses become denser and crumblier in texture and the flavours grow more intense and rewarding. While this cheese is produced year-round it is distinctly seasonal due to the changing pasture conditions for the sheep. Initially intended as Britain's answer to Roquefort, this blue – in a roundabout and ultimately accidental way – perfectly showcases the concept of terroir. The pate, which is solid, rich, and slightly crumbling, has a soft tanginess, bordering on yoghurt and fresh nuts, that balances well with the pale blue veining. With age the cheese can develop a piquancy that marries well with English honeys. Dessert wines from the Pyrénées are optimal pairings. Each of our shops offers a range of charcuterie sourced from around Europe. 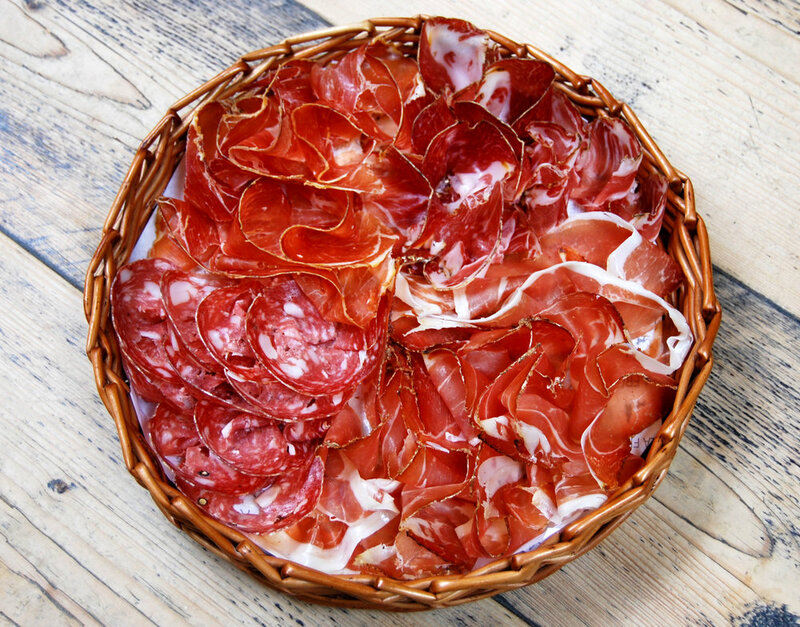 From the UK we source from Crown & Queue, a London charcuterie maker that uses British heritage pork and locally-grown ingredients, while from France we supply specialties such as Bayonne Ham from Biarritz and Saucisson Sec from the Pays Basque. From Spain we import superb Pata Negra Iberico ham, Lomo, Pata Negra slicing Chorizo. Finally, our Italian charcuterie: we offer at least ten varities from Alto Adige Speck with rich smoky flavours to 'Cinta Sinese' from the black foot pig in Tuscany. The selection can be overwhelming, but any of our shop staff are happy to help you choose a few varieties to meet your requirements. 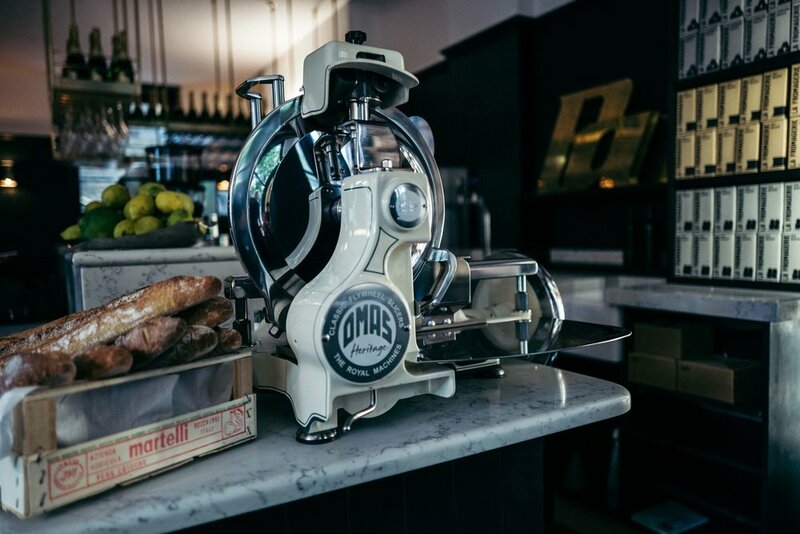 All of our charcuterie is sliced to order for maximum freshness - if you're in a hurry, call in ahead of time to place your order so that we can have it cut and ready for you to collect. 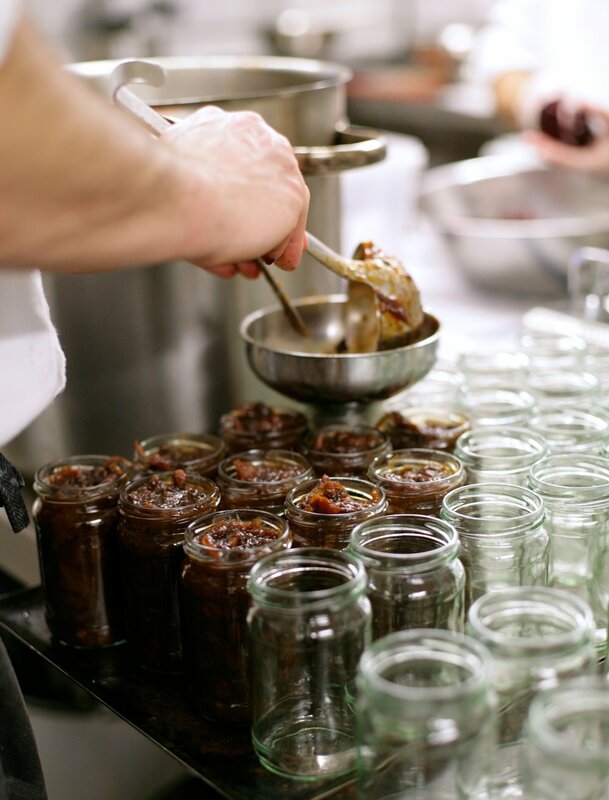 From our homemade pesto (using Patricia's recipe with five different pecorinos and our three-year aged Parmigiano-Reggiano) to our hummus and taramasata, our kitchens make a range of deli products that serve as the perfect addition to any picnic. In addition, we also make a selection of daily-changing savoury tarts and salads using the best in-season cheeses from our cheeseroom and vegetables from our shop - either would make the perfect addition to a picnic board. 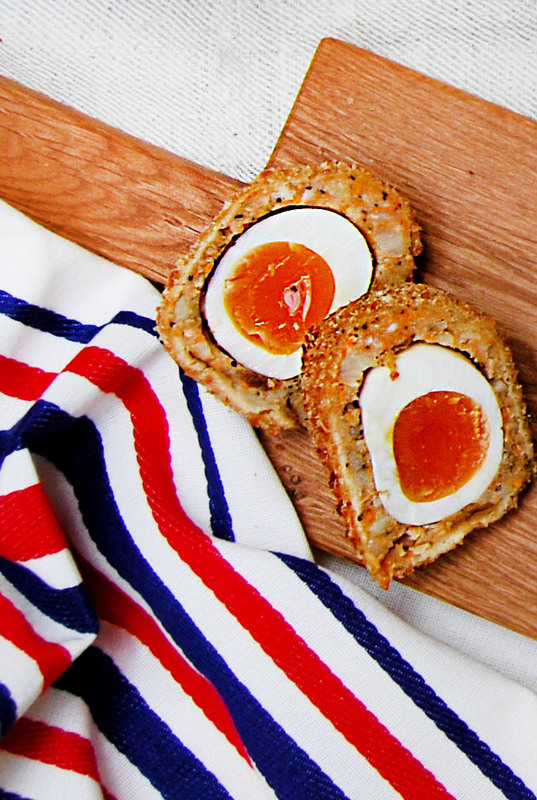 We also have available in our shops Scotch Eggs from Happy Belly who create traditional and modern flavours of fillings surrounded soft-boiled, free-range hen eggs, which are then coated in panko breadcrumbs for a light & crispy exterior. 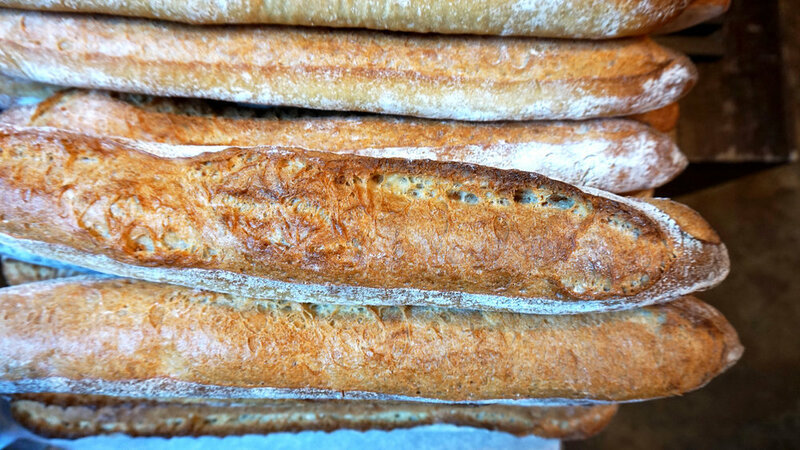 No picnic is complete with a loaf of crusty bread - baguettes are some of our favourites for outside eating, but we have a range of sourdough breads baked by bakers around the city. 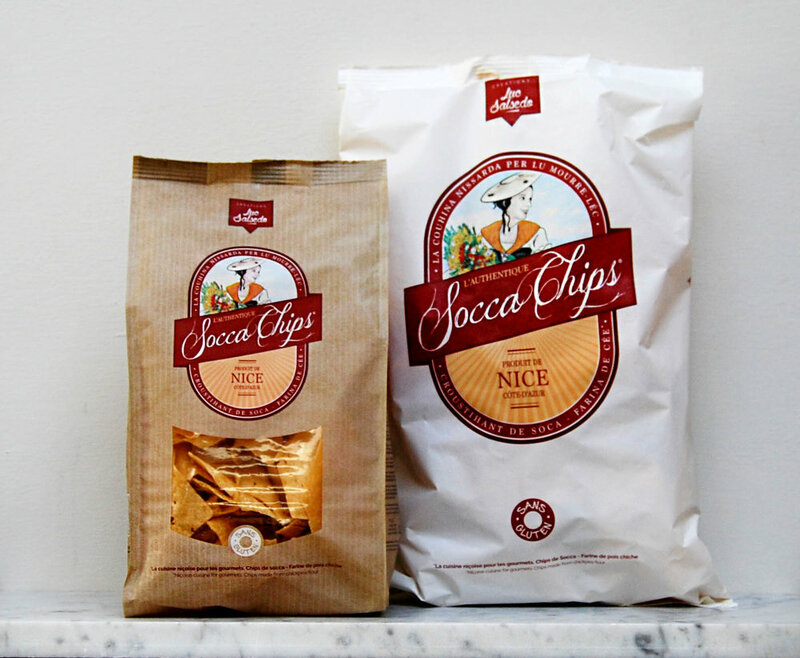 For picnic snacking, we also recommend San Nicasio Potato Crisps which are made with extra virgin olive oil, Spanish potatoes and Himalayan pink salt, or Socca Chips, an authentic Nicois snack made with chickpea flour by Luc Saledo. 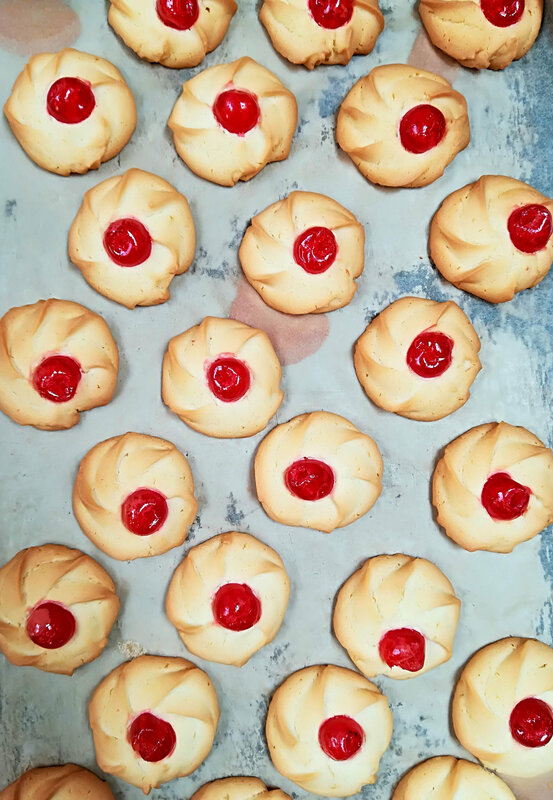 Of course, don't forget a box of our in-house biscuits to pair with your cheese! On a balmy day, there's nothing more refreshing than a glass of rosé or a bit of bubbles to lighten the air and quench your thirst. We have a range of summer wines and beers available to order online, or stop in one of our shops for a larger selection curated to the season. In addition to alcoholic drinks, we also stock a unique range of soft drinks, including elderflower cordial made by Wild About Food, heritage apple & pear juices from Brogdale Collection in Kent, and a range of specialty sodas from Square Root Soda in Hackney. 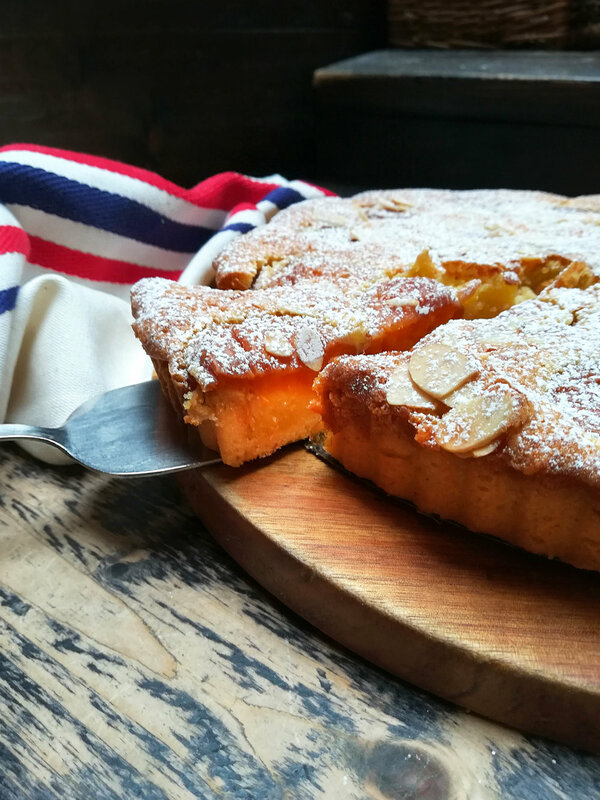 From our rich chocolate brownies to our seasonal fruit frangipane tarts, we have a range of sweets available each day in our shops - the perfect way to finish a picnic on a sweet note. Our chocolate chip cookies and Italian biscuits are perfect small bites for sharing, or take a slice or two of one of our whole cakes, such as Amalfi Lemon & Pistachio, Chocolate Flourless, Carrot Cake with Walnuts, or Ricotta Cheesecake. Our pastry chef Helena can also make a whole cake just for you - just call ahead to your preferred shop for collection to place an order. Perfect for entertaining outdoors, or great as a gift when invited to a garden dinner, we offer a selection of specialty homewares to make the occasion of al fresco dining a bit more special. From our oak serving boards handmade in North Wales to our linen napkins & tea towels made in the heart of the Basque region by third generation weavers, set your table with beautiful wares with a touch of handmade elegance. 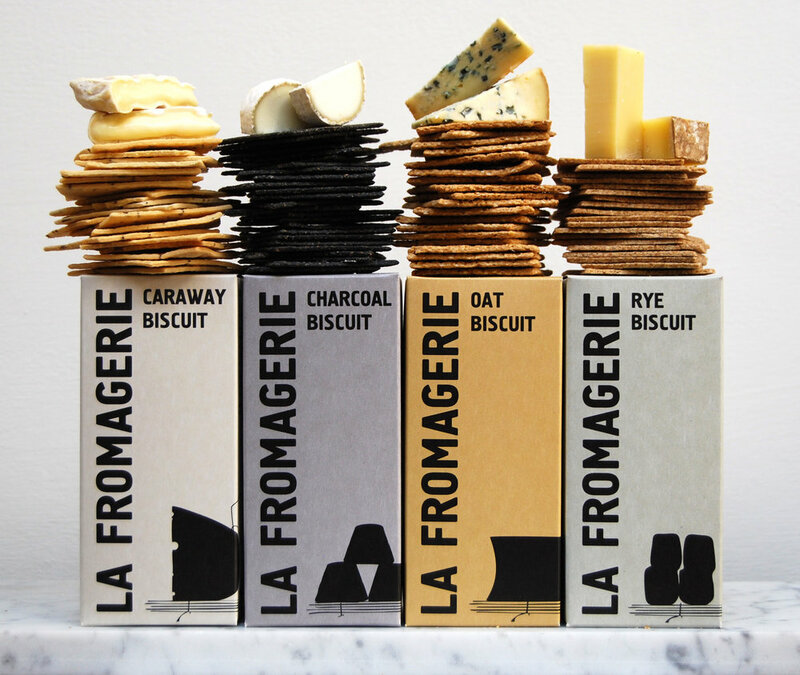 Of course, don't forget essentials like a bottle opener or cheese knifes to accompany your cheese board.